On March 18, Michelle Wilkins answered a Craigslist ad for baby clothes. When she arrived at the seller’s home, Dynel Lane, a former nurse’s aide, attacked her, cut her open, and removed her unborn child. Wilkins survived the incident; her child did not. Hearing about this horrifying crime provokes a sense of moral revulsion, as well as a demand for justice to be carried out against the killer. But this crime took place in Colorado, and therefore, the attacker will not face murder charges. Colorado state law does not recognize the fetus as a person unless the fetus has reached the point he or she can survive outside the womb. Today, 38 states have fetal homicide laws that increase penalties for crimes involving pregnant women or explicitly refer to the fetus as a person worthy of protection. But creating and passing these laws is a contentious process because it takes lawmakers to the heart of our society’s debate over abortion: What is the unborn? 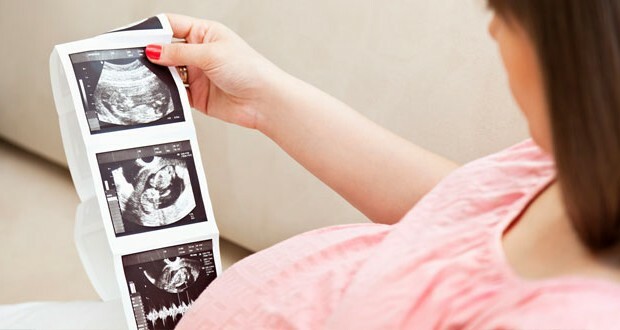 Opponents fear that some of these laws go too far in bestowing “personhood” on the unborn and may jeopardize a woman’s right to a safe and legal abortion. Supporters believe these laws provide justice for women like Wilkins and Laci Peterson, a pregnant California woman who disappeared in 2002. With friends and neighbors and family members who celebrate a pregnancy, we speak of the unborn in warm and personal terms: “baby” and “child.” When debating the right to abortion, we speak of the unborn in clinical and impersonal terms: “fetus,” “zygote,” or “tissue.” One wonders if our manner of conversation conveniently shifts, depending on the context, or whenever we find it necessary to distance ourselves from the humanity of the unborn. American views of the morality and legality of abortion are complex, defying the conventional labels of “pro-life” and “pro-choice,” and confounding activists on both sides who see the issue with black-and-white clarity. Describing American views as “complex” is the nice way to put it; it may be more accurate to say we’re muddled on the morality of abortion because we are inconsistent in our view of human life in the womb. This is why Cosmopolitan can post an article lauding Latina reproductive rights activists and a video of ultrasounds showing how unborn babies grimace when their mothers smoke, without any apparent dissonance. Cosmo readers are supposed to react with horror to the harm smoking may cause a prenatal child, while rallying to support a woman’s right to a procedure that, in the second and third trimesters, would tear the same child limb by limb. It’s why many in our society demand the harshest penalties for people who commit violent crimes against a pregnant woman or unborn child, while maintaining the right of a doctor to do violence to the unborn within the sterile confines of an abortion clinic. It’s why there is outrage at the news of fetal remains being used to heat hospitals in England, as if we ought to treat a prenatal child with more dignity after death than before. If the baby is “wanted,” he or she deserves our protection. If the baby is unwanted, he or she can be discarded. Appealing to religious grounds in opposing abortion is difficult because of society’s wide range of perspectives. Agnostics or atheists may not agree that human beings are made in the image of God, or that abortion is a sin against another human being, or that human life begins at conception. Appealing to science is difficult as well because, while science may answer the question of when human life begins (at conception), it cannot tell us if that developing human being should be considered a “person” or at what stage of development we should consider the fetus worth protecting. But here at this intersection of science and faith the debate over the unborn is beginning to converge. Technology is playing a larger role in these discussions. High-quality ultrasounds offer us unprecedented pictures inside the womb. Millennial parents who put together scrapbooks for their children begin with sonograms, not newborn photos. And so, as technology advances, our society is put in the increasingly uncomfortable position of both affirming and denying the humanity of the unborn. For now, however, our muddled inconsistency will deny justice to Michelle Wilkins, and no one will be charged in the death of the baby she lost.